A global entertainment organization entering the digital age. F K Digital has been underway since 2004. The company is located in Sydney, Australia. 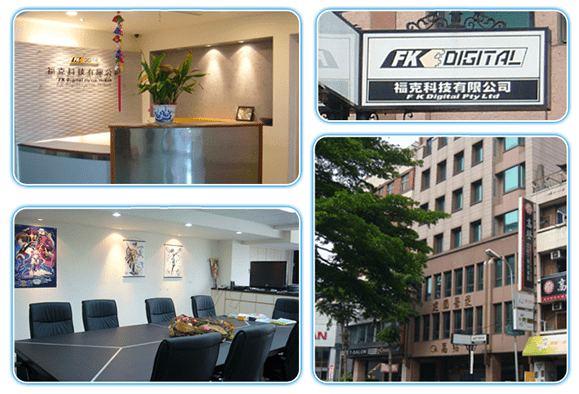 At the end of 2007, F K Digital’s sub branch begins operations in Taichung, Taiwan. The "Chaos Code" series, an original 2D fighting game developed by the well-known free game "Super COSPLAY War U" (SCWU) key members, Chaos Code was first released in arcade on the SEGA RingWide system and Taito NESiCA system, and in the following year on the home console PlayStation®3 was further extended to the US and Europe. The latest enhanced version, "Chaos Code: New Sign of Catastrophe" will debut in 2016 on PlayStation®4.